Avalution’s information security consultants will quickly and affordably get you on the path toward sustainable security. You know that you need information security, but where do you begin? Poor planning and design (as well as expensive security software) can quickly overwhelm information security budgets. Our consultants will work with you to understand your business, objectives, threats, and risk tolerance to architect a security program that meets your needs (and budget) today, tomorrow, and for years to come. The first step in calculating risk is to understand your business and the systems that you depend on. These can include network appliances, servers, applications, databases, and even cloud providers. Whether you prefer informal inquiry or automated scanning of your entire environment, we’ll make sure that we know what you have (and what you are planning) before moving forward. Poorly architected solutions are often the root cause of excessive risk and information security budgets. Systems should be designed with security in mind and by default. Whether you are a small business that only uses e-mail or a large enterprise in need of a security upgrade, we’ll help you select and implement a security portfolio to prevent, detect, and respond to threats. 100% security is unattainable and security incidents are inevitable; having a plan to respond to incidents and recover from outages is essential. 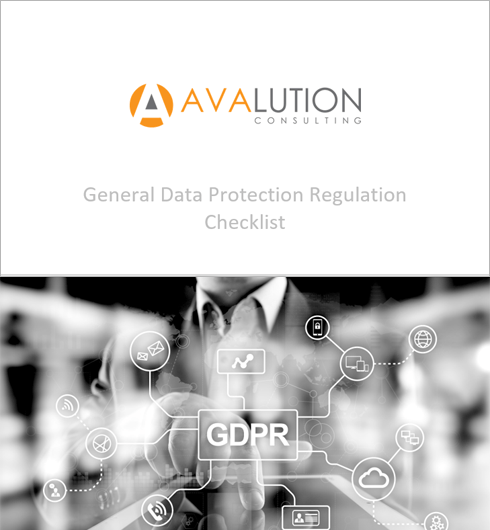 As the global leader is business continuity and disaster recovery, Avalution will design response and recovery plans that will give you confidence in your organization’s ability to be resilient when confronted with cyber threats. Most processes work well in the beginning; maintaining discipline, however, is a challenge in all organizations. In addition to implementing controls and solutions to monitor network security and detect intrusions, our IT auditors can also evaluate your organization’s ongoing conformance to the policies and procedures defined in your information security program.